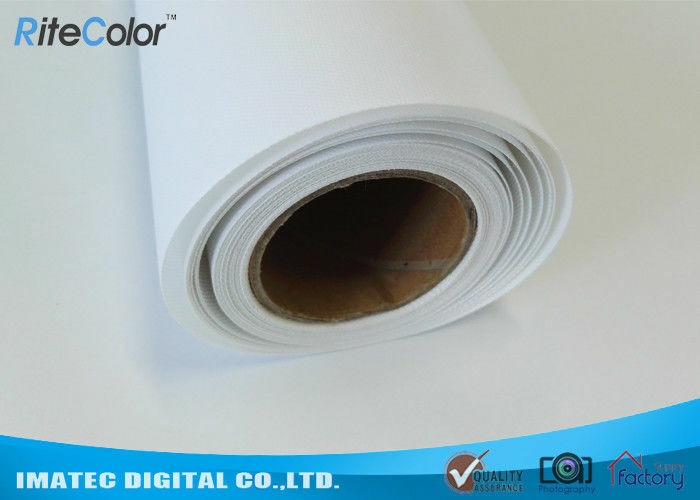 This is Latex Polyester Canvas specially manufactured for Latex ink printing. The canvas is perfectly printed on all HP Latex printers. The canvas is with matte surface coating specially for Latex ink to creat the brilliant print results. This canvas has super fabric texture, wide color gamut, rich black and vibrant colors in printing. The canvas is also anti-cracking, ease-stretching, anti-fade. Glossy surface finish is also supplied. Place of use: Supermarket, Store, Shopping mall, Home, Office, Restaurants, Churches, Galleries, Museums etc. Compatible with all HP Latex printers, large format and grand format machines.